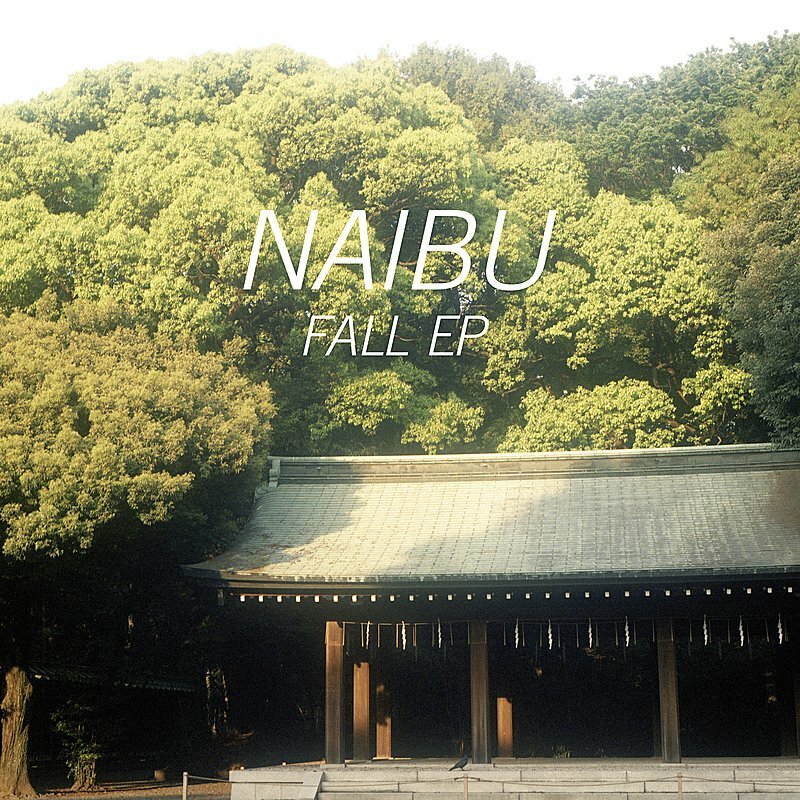 Naibu's Fall EP is a worthwhile drum & bass release. Look back at the rating, your eyes aren't deceiving you - I did in fact give this an A. How is it, then, that the most apt adjective I can give what's probably going to end up being my favorite release of the first quarter of 2013 is "worthwhile?" After all, Fall isn't an innovative, genre-defying behemoth like Burial's Kindred EP, the most apt comparison I can think of. The latter, almost unarguably one of the finest releases of 2012 in general, was an incredible three-track sampling of Burial's technical prowess and musical skill (Untrue on steroids, if you will), and the breathtakingly delicate balance Will Bevan created resulted in an emotional roller coaster which took the listener where (some would argue) good music should always go. The former plays by all the rules of DnB - the tempo is pretty much constant throughout, the rolling basslines are heavy and a major focus of every song, the lush keyboard chords are prevalent, and MC tracks and sultry female vocals abound. So how can I honor a release which followed all the rules to a T by comparing it to an EP which was so good precisely because it didn't feel the need to conform to any genre stereotypes? I feel it's appropriate to make this comparison because much like Bevan did on Kindred, Naibu (Frenchman Robin LeClair) has created a piece of work which is emotionally taxing in the best way possible. LeClair has done something very infrequently accomplished in all genres, especially DnB - follow standard rules with a sound which twists those rules into a shape which is wholly enthralling. It seems as though Fall is almost deceptively brilliant - on first listen, it's pretty much standard liquid drum & bass fare, and it's difficult to note every minuscule detail. For example, lead single (if you can call it that) "Play With Fire" sounds as if it could have been no different than the average Fokuz Recordings release save for the almost inexplicable elements which aren't present on most liquid tunes - it's got the industry-standard floating beat, it's got the female vocals, and it's got delectable piano chords. However, it feels far more complete than that: some of the chords are utterly astounding (especially when combined with the bass), the progression of the admittedly heavy bassline is far more interesting than what passes nowadays as par for the course, and the extra minute or so (generally DnB songs don't stray much past 5 and a half minutes in length) helps flesh out the tune significantly. But, while trying to stay away from the metaphorical, you're-reading-much-too-far-into-this bulls**t that often graces music reviews, the song, much like the rest of the album, is much more than just an interesting liquid DnB tune. It's serene, sure, but it's so gripping in its serenity that it avoids the "boring" booby-trap most liquid falls into. I haven't found a liquid song in quite some time that epitomizes exactly what I want to see from the genre quite so well as "Play With Fire" - everything about it, from its piano to its bass, its drums to its strings, its vocals to its eerie plains-in-the-wind sound effects, is utterly compelling in a way I haven't heard in any other DnB release in quite some time. It's not just "Play With Fire" that makes Fall so good, though. Naibu does something incredibly important over these six tracks, a feat that isn't often accomplished - rather than just make the music fast and chilly because it will be sonically pleasing, the songs here are such that everything, from the tempo to the soft chords and sound effects in the backdrop, are crafted specifically for the feelings he's trying to convey. It's only occasionally that an 8-and-a-half minute track in this genre doesn't feel too long and self-indulgent, but "Wrong" accomplishes this feat with ease - it's difficult to explain, but the screaming synthesizers and muted chords at a fast tempo such as this absolutely require the full length of the song in order to be heard and appreciated. The techy, ominous sounds of "Just Like You" are also shockingly appropriate, with a driving intensity which is necessary for hammering home the feel of the whole EP. What Fall ultimately is, though, is a worthwhile drum & bass release. Even after spending three paragraphs attempting to describe exactly what makes it my album of the year so far, "worthwhile" is still the best adjective I can think of to pin this down. It's an EP that plays by the rules, sure, but it's such a twisting, emotionally charged beast with so many subtleties that it does exactly what drum & bass (and music as a whole) was arguably meant to do: it takes the listener on a relatable journey through the medium of the music itself, much like Kindred did over a year ago. Fall is beautiful, serene, chilling, and gripping all bundled up into a neat little six-song package, and when all is said and done it's an excellent microcosm for the state of fulfilling music today - though it doesn't happen often, DnB can sometimes invoke emotions so powerful that it's impossible not to be captivated, and this EP is one of those times.